A real Big Size Sofa - 7-foot lounger to fit all kinds of living rooms, bedrooms or children`s rooms. 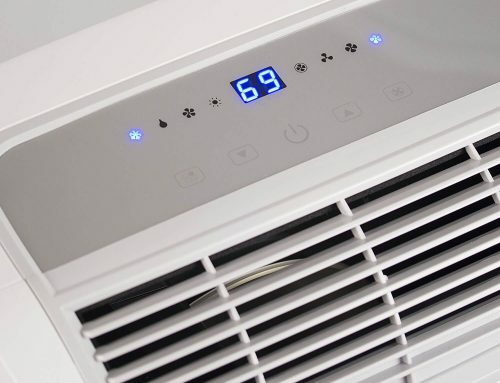 For great everyday fun and relaxation in all situations. So take your time and lean back. Lumaland’s Luxury Bean Bag Chair is designed for your entire family to enjoy. From younger kids to teens to adults, everyone will love relaxing on the 7-foot chair covered made of an ultra-soft microseude material. Make a family room, living room or bedroom extra cozy by adding this sofa sized chair. 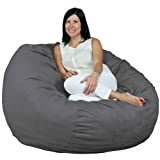 Besides its size, the bag includes high-class foam material that reflects your body heat keeping you toasty while relaxing on the bean bag chair. The chair comes in a variety of colors and can be customized in smaller sizes to meet your room’s needs. The cover’s material is extra soft and machine washable. The chair also has an inner cover that protects it when the cover is removed for washing. Bring home a Lumaland Luxury Bean Bag Chair to add some additional comfort to a room in your home today. The FUGU Bean Bag Chair provides excellent comfort and comes in a wide array of colors. The chair is made with pillow grade foam giving you a more relaxing experience when lounging on it. Fugu Brand produces the chair in the United States and uses high quality foam inside instead of a single layer of bean bags to fill it. To ensure the longevity of the chair, it has double layer construction. 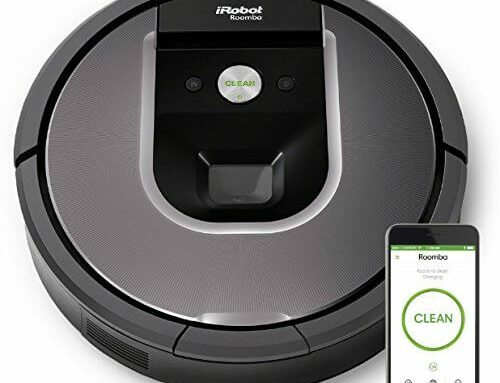 The internal protective liner keeps the foam filler fresh while the external cover is removable to allow for easy washing. 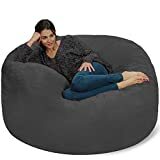 Buy a FUGU Bean Bag Chair today to provide you with a comfortable chair to kick back and relax while playing a game, watching a movie or reading a book. The Flash Furniture Oversized Bean Bag Chair is designed to allow you to relax in comfort. The chair is lightweight and does not take up too much space in a room. 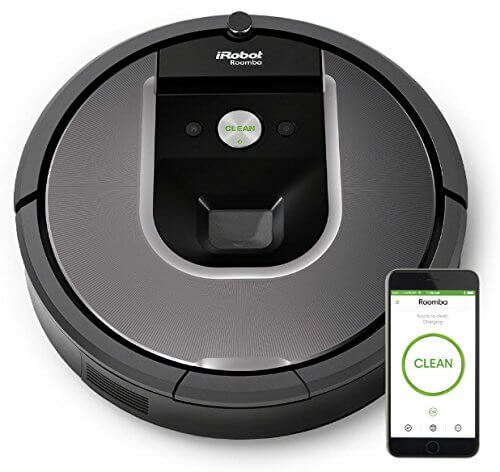 It is filled with foam beads and has a quality cotton upholstery for each spot cleaning. 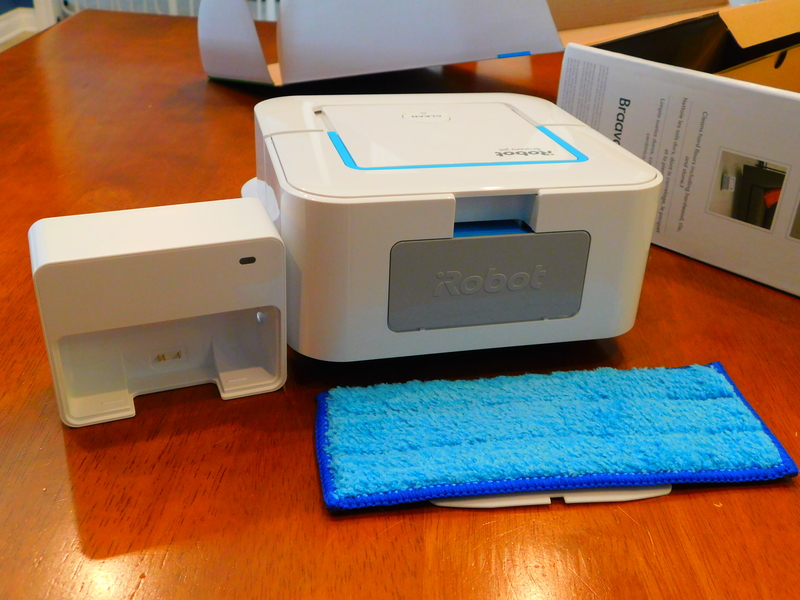 But, don’t worry if it needs more cleaning, the slip cover is removable for easy washing. There is a secure metal zipper to prevent any of your beads from escaping your chair. Purchase a Flash Furniture Oversized Bean Bag Chair now to add a cool new chair to your family room or bedroom today. 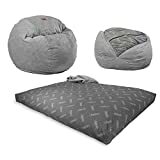 Multi-positional bean bag, chair and crash pad for adults or children. 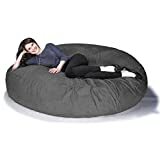 The Cocoon features 2 positions; lay it down flat like a giant bean bag bed, or flip it on its side for a supremely comfy bean bag chair that surrounds you in comfort. Perfect for home theater, game rooms, playrooms and sleepovers. The Jaxx Cocoon Large Bean Bag Chair provides the perfect spot for kids and adults to kick back and relax. It is multi-positional allowing it to be laid flat like a giant bean bag bed or as an extreme comfy chair. The chair is perfect for a game room or family room. The bean bag is designed to provide pressure-relieving support while still providing soft cushioning for anyone using it. The micro-suede cover is removable and machine washable. The liner also includes a childproof zipper. 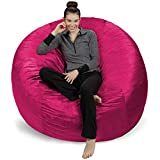 Buy a Jaxx 6 Foot Cocoon Large Bean Bag Chair to add a versatile chair option in your home. The Sofa Sack – Plush Ultra Soft Bean Bag Chairs are designed for everyone in your family. From kids and teens to adults, everyone will love the memory foam beanless bag chair. Because the chair does not have the traditional filling, it provides firmer support and contours to the person who is sitting or lying down on it. The chair will make a great addition to a bedroom, playroom or man cave. Order your chair in one of the many colorful options covered in a velvet, passion suede material. Purchase a Sofa Sack – Plush Ultra Soft Bean Bag Chairs to add some coziness to your room today. The Cozy Sack Maui Beanbag Chair is a large frameless chair that expands up to 6’ x 4’ feet. The chair is designed to provide maximum comfort and relaxation for anyone using it. 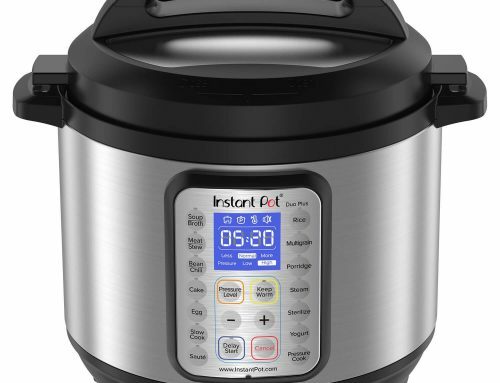 The filling includes premium foam and the nylon liner includes a child proof safety zipper. 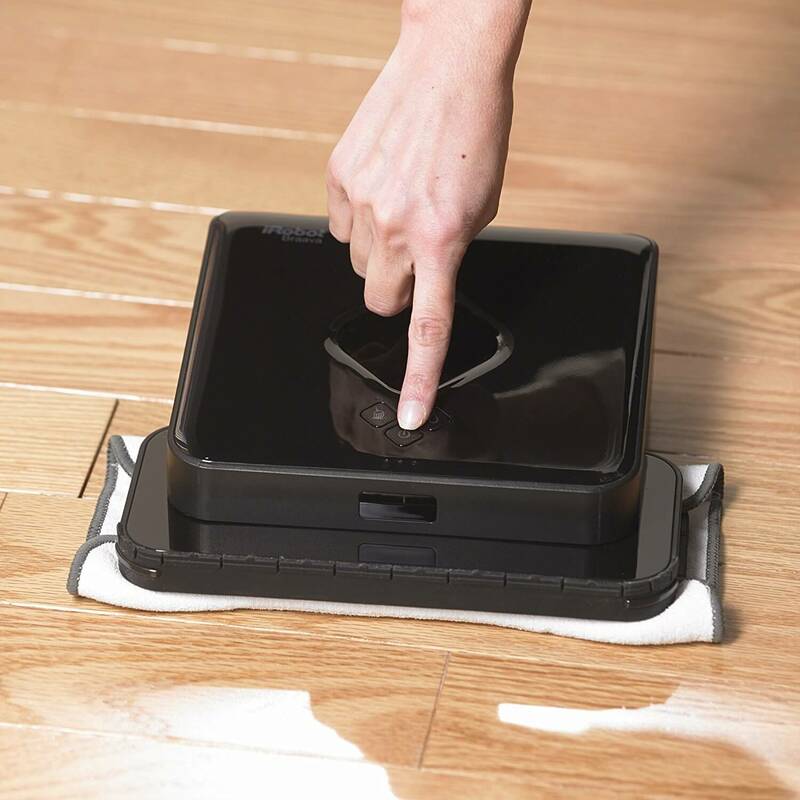 The liner can be easily removed to allow for the washing of the external cover. 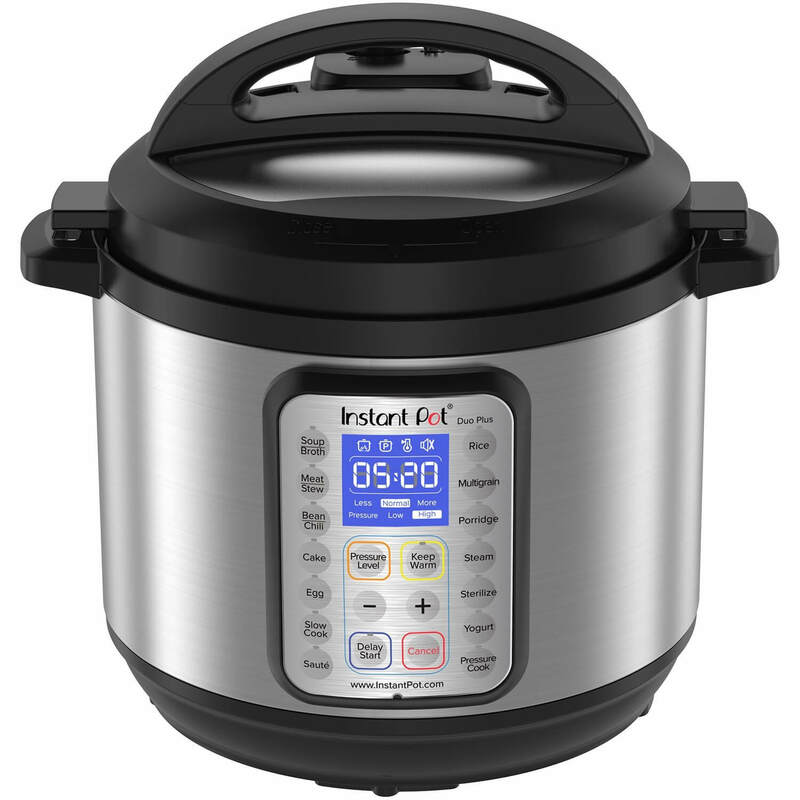 The product is made in the USA of high quality materials and comes in a variety of colors. Purchase a Maui Beanbag Chair now to enjoy the quality workmanship and comfort offered by Cozy Sack’s products. 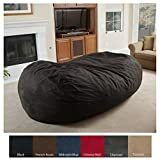 Check out Chill Sack’s Bean Bag Chair Giant 5’ Memory Foam Furniture Bean Bag. The oversized size of the bean bag sack is as large as a sofa. At 60 x 60 x 34 inches it is large enough for two adults to cuddle up on together or to spread out while enjoying their own personal space. The Chill Sack is stuffed with a shredded, soft memory foam blend that will maintain its shape while providing maximum comfort. The Chill Sack Chair is made in the USA and comes in a variety of colors. 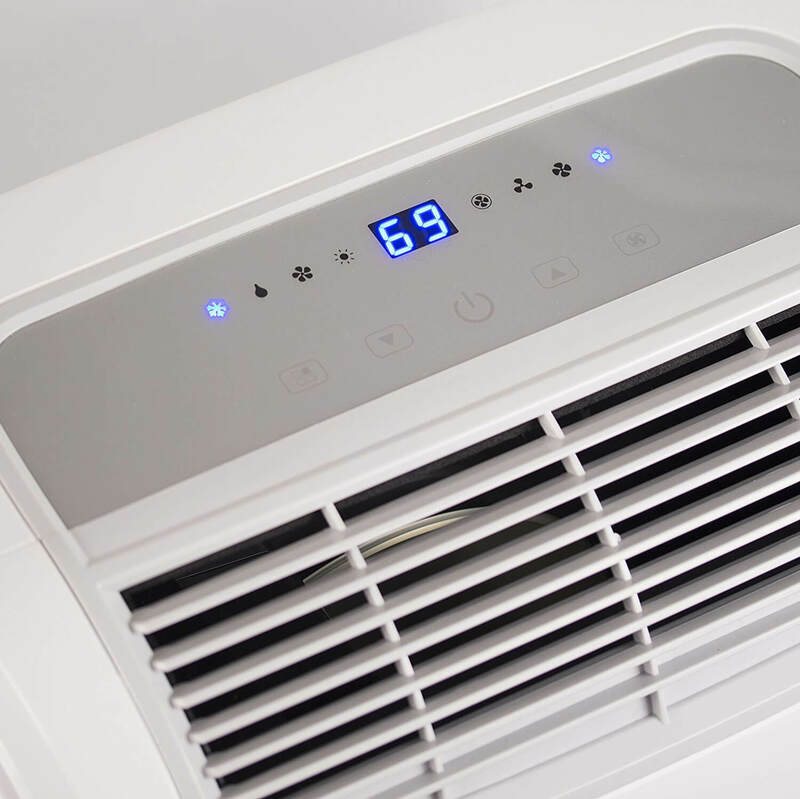 The covers are soft to the touch and are resistant to stains and discoloration. They are also machine washable. 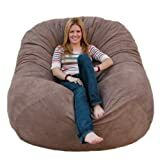 Don’t hesitate, purchase a Chill Sack Bean Bag Chair Giant 5’ Memory Foam Furniture Bean Bag for your home today. CONVERTIBLE CHAIR: Giant foam chair converts to a full-size bed for guests, slumber parties, or just relaxing. Better than a bean bag, no beans about it! 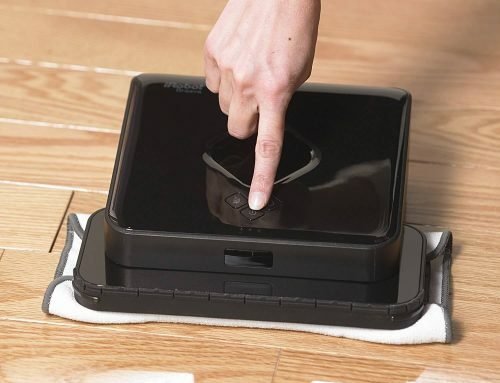 SOFT, WASHABLE COVER: Plush microfiber cover is soft-to-touch with a durable woven backing. Washer and dryer safe for your convenience. Extra long zipper for easy removal. CHAIR TO BED IN A SNAP: Simply remove the cover and flip inner cushion to turn into a bed. Fold and slide into cover to convert back to a chair. So easy, the kids can do it! CordaRoy’s Chenille Bean Bag Chair converts from a bean bag chair to a bed. The chair is available in full, queen or king size and makes the perfect bed for guests. Convert the chair by removing the cover and flipping the inner cushion allowing it to fold out into a rectangular shaped mattress. Easily fold up and slide the chair into its cover to convert it back to a chair. The giant chair’s plush microfiber cover is soft-to-touch and has a durable backing; it is also machine washable. The bean bag chair is filled with CertiPUR foam and is soft while also providing good support while using it. Purchase one of the CordaRoy’s foam filled bean bag chairs, as seen on Shark Tank, to add a relaxing chair and a guest bed to your house. 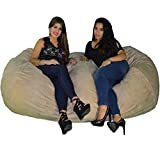 The Cozy Sack 6-Feet Large Bean Bag Chair provides extra comfort for users because it is made from soft foam which conforms to anyone sitting in the chair. The soft virgin urethane foam allows the chair to spring back to its normal size after every use with a little fluffing. The protective liner has a child safety zipper and can be easily removed for machine washing. 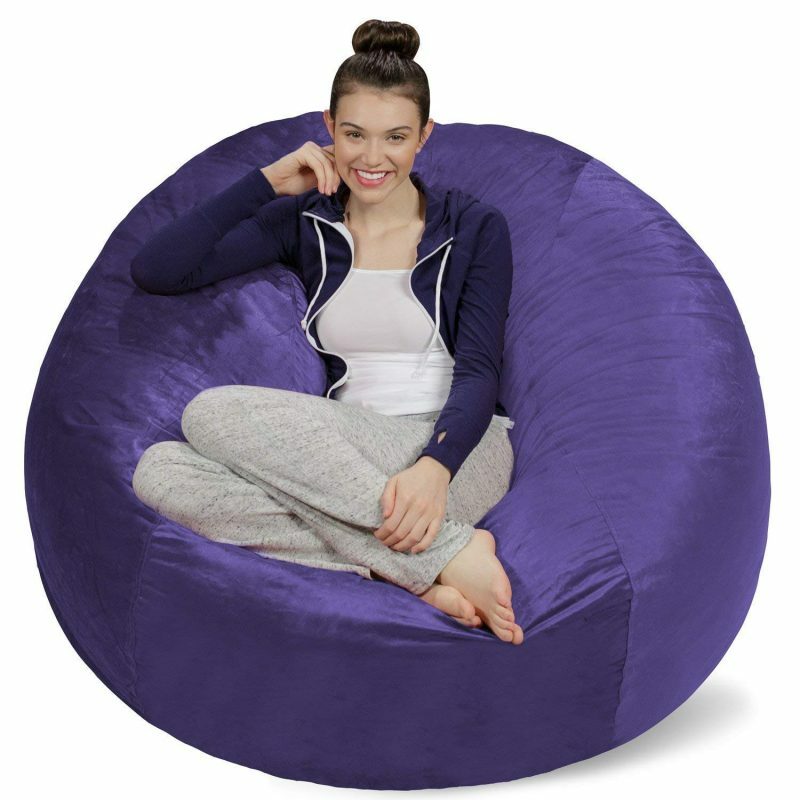 Cozy Sack makes the bean bag chair in the USA and it can be ordered in a variety of colors and sizes. 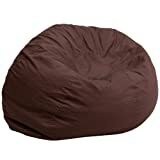 Consider buying a Cozy Sack 6-Feet Large Bean Bag Chair to provide a comfortable seat for anyone to relax in at your home. The Christopher Knight Home David Faux Suede Lounger Bean Bag is 8’ x 6’ is an adult-sized chair. The cushioned, microfiber bean bag chair is filled with eco-friendly recycled foam. The double-zipper ensures the chair is sealed for safety. The outside cover is made of durable, puncture-proof material ensuring it will last for a long time. Made in the USA, the extra-large lounger is the perfect chair to relax on while gaming or watching a movie. 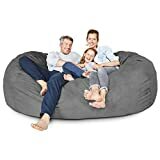 Buy your family a Christopher Knight Home David Faux Suede Lounger Bean Bag today.